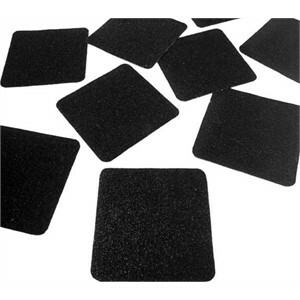 Our Self Adhesive Anti-Slip Shapes are a quick and easy way of making your steps, floors, baths and showers safer. They can be applied both Indoors or Outdoors giving an immediate solution to slippery surfaces. 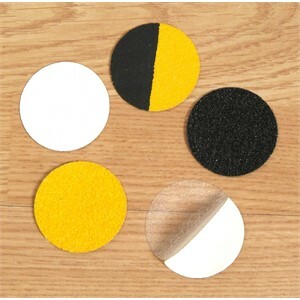 We manufacture our anti slip shapes in various colours. They also come in 3 anti-slip grades. Our SS#100 grade shapes are designed for most areas including floors, steps and stairs. Our SS#200 grade shapes are designed for more heavy duty industrial uses. Our SS#300 shapes are great for bare feet areas including wet rooms, bath’s and showers!